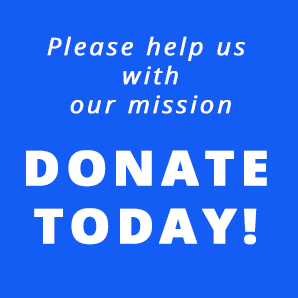 You are here: Home / Events / Stir It Up 2018! 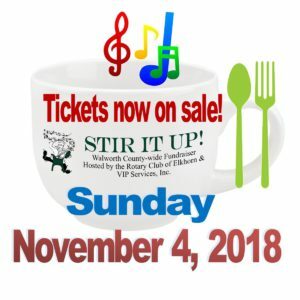 The 4th Annual Stir It Up, a Walworth County-wide fundraiser, is Sunday, November 4 from 11:00 a.m.—2:00 p.m. at Elkhorn Area High School. This year’s event benefits: VIP Services, New Beginnings – Domestic Violence Shelter Build for Walworth County, Lakeland Animal Shelter and area high school music programs. Musical performances by Big Foot High School Jazz Band along with Elkhorn Area High School Jazz Band and Chorus. Event tickets are on sale at Advia Credit Unions (Elkhorn and Silver Lake branches), Elkhorn Chamber of Commerce, Elkhorn Library, First National Bank and Trust (Walworth County branches), Stinebrink’s Piggly Wiggly (Lake Geneva and Delavan stores) and VIP’s front desk. Or to purchase your tickets on-line: click here! For more information or a list of participating restaurants, go to: www.stiritupwalco.com. The event is hosted by VIP Services and the Rotary Club of Elkhorn.